Steer; Elmohamady, Jedinak, Tuanzebe, Taylor; McGinn, Whelan, Hourihane (Lansbury 79); Adomah, Abraham (Davis 72), El Ghazi. Subs: Sarkic, Green, Bjarnason, Hutton, Ramsey. Villa reeled off an eight straight victory to step up their promotion bid with a richly-deserved result against Championship rivals Bristol City. Tammy Abraham opened the scoring when he converted a penalty for his 24th goal of the season and Conor Hourihane doubled the lead before the visitors reduced the deficit. Dean Smith’s men were twice desperately unlucky not to take the lead in the opening period. Albert Adomah sent a header against the inside of the near post after Anwar El Ghazi’s fierce drive had been fisted out by Max O’Leary. And Conor Hourihane must still be wondering how he didn’t score just past the half-hour mark when his powerful downward header from El Ghazi’s cross was somehow clawed away by the Bristol keeper. The visitors also had chances, with Niclas Eliasson and Matty Taylor just off target and Andreas Weimann having a header disallowed for offside. 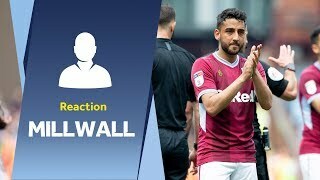 Abraham suffered the same fate early in the second half when he was the victim of a debatable decision, and Villa must have thought they would never score when O’Leary made two more superb saves in quick succession to keeper out El Ghazi’s piledriver and Hourihane’s close-range follow-up effort. But the breakthrough finally arrived when Hourihane was brought down by Jack Hunt in front of goal and Abraham calmly despatched his penalty past O’Leary. And after Hourihane had headed just off target from another fine El Ghazi cross, the same two players combined to double the lead. El Ghazi created the opening with an astute reverse pass and the Irish midfielder drilled a low angled shot into the far corner. Famara Diedhiou reduced the deficit with an overhead kick but Villa might well have increased the lead, O’Leary making two more excellent saves from Neil Taylor and sub Keinan Davis. Dean Smith’s side have now reeled off eight consecutive league wins – a feat not achieved by a Villa team since Ron Saunders’ men won the final eight games on their way to promotion in 1975. The big question now is can they equal a club record by making it nine on the trot by collecting three more points at Bolton next Friday? The only time that has happened was over a century ago, during the early stages of the 1910/11 season. There’s no doubt about – there’s nothing to match a full house at Villa Park. The attendance of 41,418 was our highest of the season – just seven more than the turn-out against Leeds United in December – and the place was really rocking. 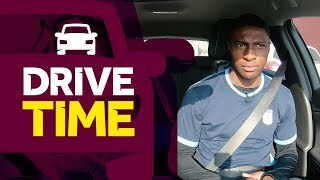 The atmosphere certainly lifted Villa’s players on a day when Jack Grealish and Tyrone Mings were missing through illness and suspension respectively. Despite the absence of those two key players, Villa responded with a magnificent performance which would have yielded a more convincing win but for the heroics of Robins keeper Max O’Leary. 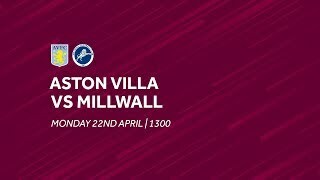 Friday night football is on the agenda next week as Villa kick off the Easter weekend with a visit to Championship strugglers Bolton Wanderers. These are troubled times for the Trotters, but Dean Smith and his players will be thinking only of trying to secure three more points in their quest for the Play-Offs. The home match against Bolton in November was also played on a Friday, Villa winning 2-0 with goals from Jack Grealish and James Chester. A repeat of that outcome would go down nicely.